Are you already a customer of ullstein bild? Then you can immediately use our Haeckel webshop with your usual access data. 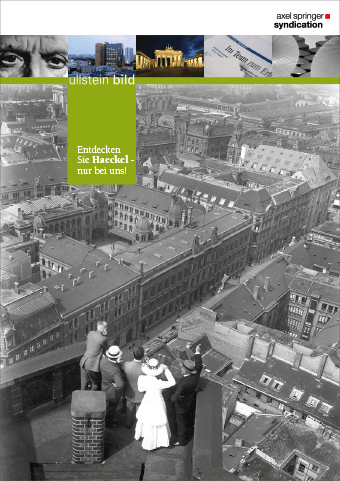 Licensing Haeckel pictures for your publication is possible at any time via our webshop. If you would like to send us a picture or fee request independently of registration, please send an e-mail to: info@haeckel-foto.de. For exhibition purposes we lend the original photographs (contact prints) of the Haeckel Collection. Prerequisites for this are a loan contract with ullstein bild, the conclusion of an appropriate insurance policy and art transport. Please send enquiries about the organisation and the fee for this as well as all relevant information about your exhibition project to info@haeckel-foto.de.